Ben & Jerry’s, the “socially and environmentally conscious” ice cream maker, has a long history of deception. Nope. I decided to investigate further so I visited their factory in Waterbury, Vermont. 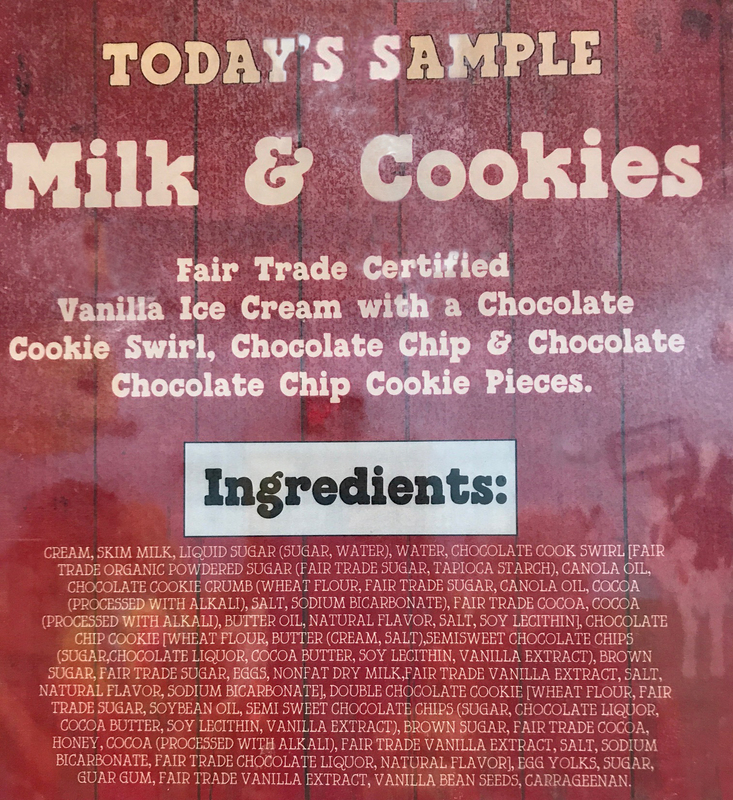 Most “All Natural” Ben & Jerry’s flavors have unnatural ingredients like hydrogenated oils, alkalized cocoa, and synthetic vanilla. 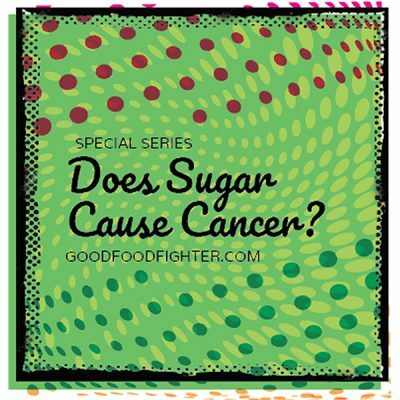 In 2010 almost 90% of flavors contained ingredients that had been chemically modified. Treating cocoa with an alkalizing agent changes the chemical structure and taste of cocoa and reduces its flavonol content (what makes it healthy!). Most of their products contain carrageenan, a stabilizer and thickener known to cause digestive ailments and other health issues. Calling products with unnatural ingredients “natural” when they’re made in a lab, not a farm, is false and misleading, according to the Center for Science in the Public Interest, a non-profit organization that seeks to inform and educate the public about food safety. 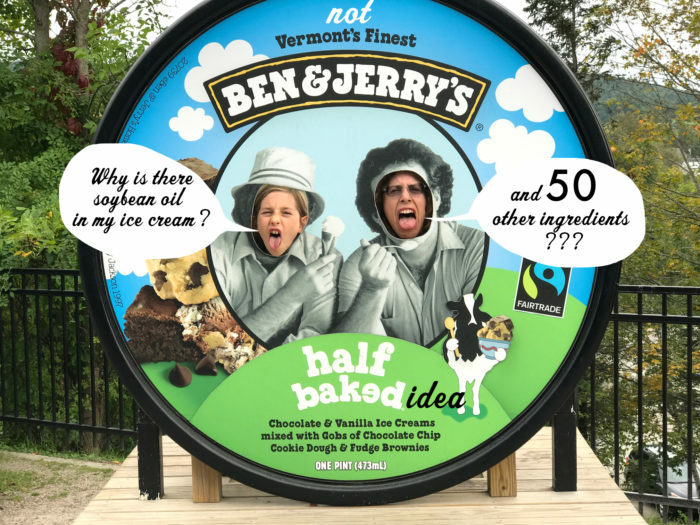 CSPI urged Ben and Jerry’s to stop using the term, and when they did not, alerted the Food and Drug Administration and state attorneys general, which, unsurprisingly took no action. A sign proudly displayed in the tasting room. Wow. Look at all those ingredients. Some are nice, some look benign but are actually questionable, and some are known toxins. The FDA has not legally defined the word natural, but the agency consistently discourages the use of the term because its meaning is ambiguous and may unjustifiably imply to consumers that foods labeled as ‘natural’ are inherently superior to other foods… The agency wrote that the term natural means that nothing artificial or synthetic … has been included in, or has been added to, a food that would not normally be expected in the food. 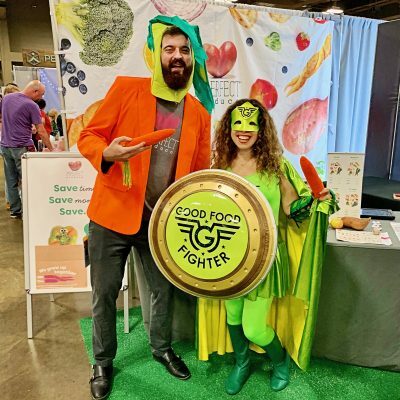 So, you see that no standard is enforced, and food companies use the all natural moniker as often as possible because they can get away with it. Thanks Ben and Jerry’s for tricking us because we believed in you! 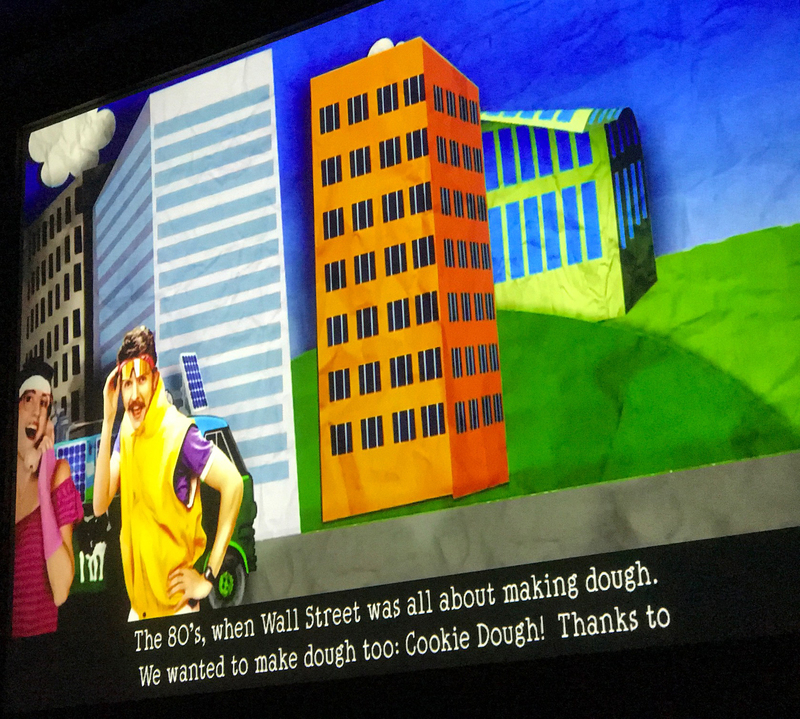 Ben and Jerry sold out and sold their company to behemoth Unilever in 2001, pocketing $40 million collectively. Unilever makes commercial skincare products, diet foods, and other categories. Customers complained that the ice cream wasn’t as good, but adding in all those Oreos and M&Ms helped mask the flavor. It also helps them get their ice cream into every gas station in every corner of the earth. Unilever agreed to uphold Ben and Jerry’s “mission” because it helps them boost their image and sell more ice cream. The first stop on our 10-minute $4 tour was the theatre where they showed us a fancy-self-promotion. I snapped some pictures of their feel-good we’re-all-happy slideshow so you don’t have to go all the way there to watch it. Real cute. Feelin’ good already! Hippy Days are long gone, guys. Good way to reduce their tax burden! Monsanto and factory farms are very innovative. Not in a good way, though. Ben & Jerry’s claims that their eco-friendly packaging is free of toxins called dioxins which they call “some of the most dangerous chemicals known to man …. Released in water, they build up in the fatty tissues of fish and work their way up the food chain to us.” Their promotional materials reveal that dioxin “is known to cause cancer, genetic and reproductive defects, and learning disabilities”. and that the “only safe level of dioxin exposure is no exposure at all.” These claims are reiterated on its ice cream cartons and website. It is ironic, then, that their packaging is dioxin-free, but their ice cream is packed with dioxin. Deadly Dioxin. Citizens for the Integrity of Science tested samples and found levels that were 200 times greater than the “virtually safe dose” of dioxin determined by the U.S. Environmental Protection Agency. Unfortunately, because of pollution, dioxin is now present in most animal fat, and therefore is in most ice-cream. But because B&Js has a higher butterfat content, it likely has more dioxin than most other ice creams. 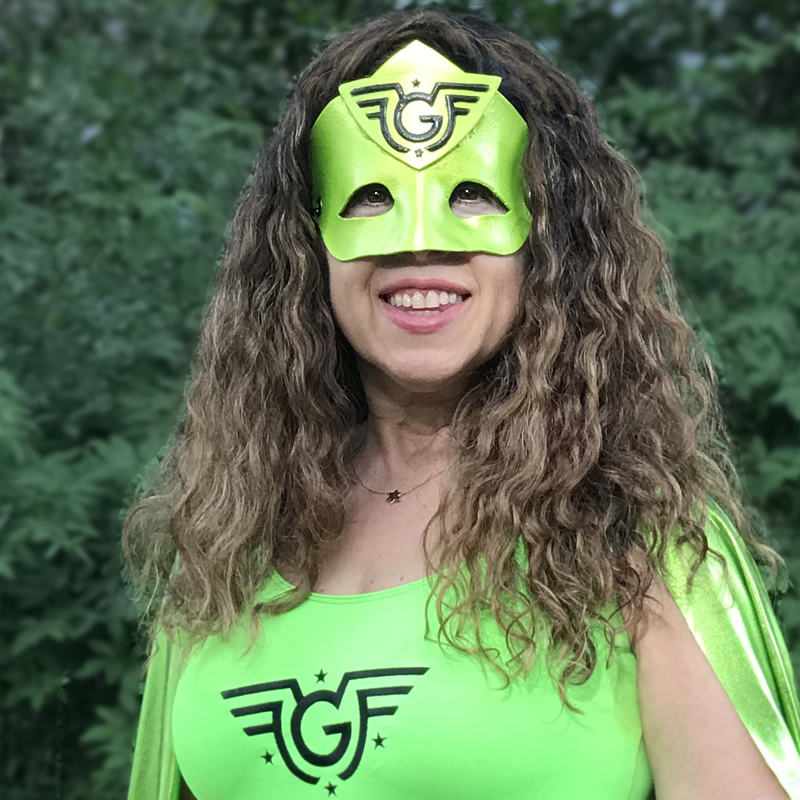 Read the complaint to the Bureau of Consumer Protection Of the FTC (Federal Trade Commission) about the deceptive packaging here. A recent report by the Organic Consumer Association found traces of the chemical weed-killer glyphosate in 10 out of 11 B&J’s flavors tested. Consumer groups and scientists have been sounding the alarm about glyphosate in our food supply because studies have linked it to a variety of diseases. The International Agency for Research on Cancer, a unit of the World Health Organization, declared in 2015 that it “probably” caused some cancers. A study in the journal Cell Chemical Biology shows that glyphosate interferes with the liver’s role in breaking down fatty acids which can lead to fatty liver disease. The FDA doesn’t test food for this herbicide because “it costs too much”. And just so you know, the (largely unregulated) food industry deliberately sows confusion when scientific studies are released to downplay the findings and confuse consumers. What a surprise! 4. Supports Factory Farms and Cow Torture. 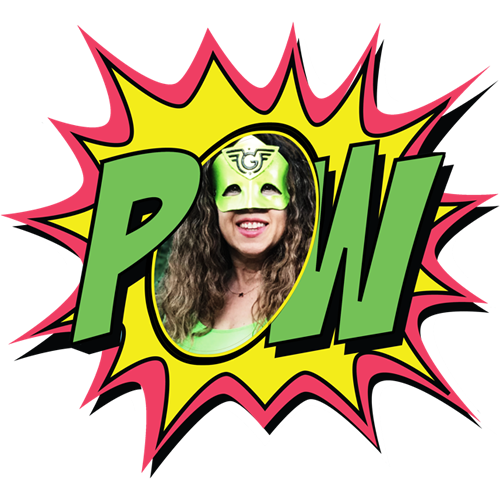 Pretending to be “green”, or greenwashing. 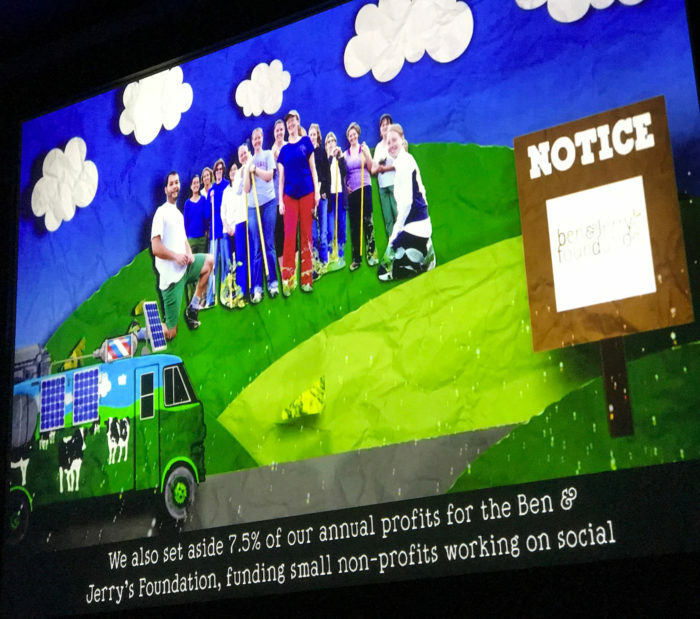 Ben & Jerry’s has carefully cultivated an image of working tirelessly for social good: caring about social justice, the environment, the climate, children and families, and sustainable agriculture on family farms. They even rave about their “Caring Dairy” program and its commitment to using non-GMO ingredients. But lift the eco façade and you’ll see a company that sources its milk from industrial operations (which are called concentrated animal feeding operations, or CAFOs) that raise animals that are gorged on pharmaceutical-feed, live in 24-hour confinement, and are over-milked); waterways polluted with nitrogen and phosphorous from farm runoff; and bankrupted small farmers who couldn’t compete with the plummeting cost of cheap, poor-quality milk and closed shop. 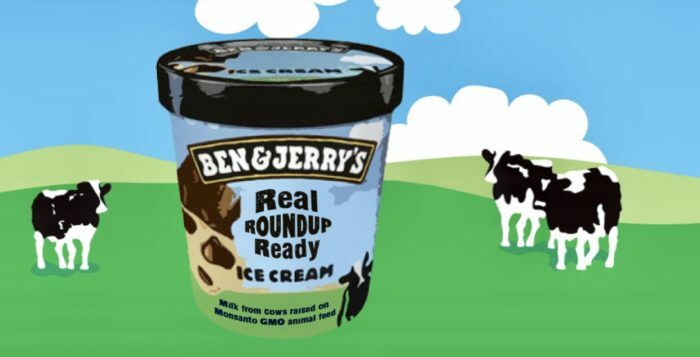 Ben and Jerry’s contributes to global warming by supporting these CAFOs and GMO agriculture which contaminates and degenerates the soil. 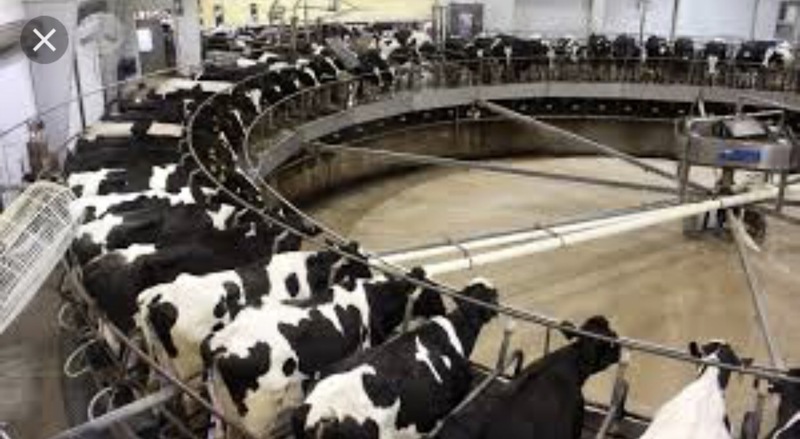 Happy grazing Vermont cows producing rich, creamy milk have been replaced by CAFOs . The pollution from these dairy factories has rendered much of Lake Champlain unsafe to swim in, marine life is struggling, and drinking water now contains atrazine and glyphosate (Monsanto’s Roundup), chemicals sprayed on Vermont’s cornfields which end up in cow’s feed. This feed makes the animals sick because this is not a natural diet for them. Instead of living 20 years, they live about 5 years and about 10% of them die before even reaching that. 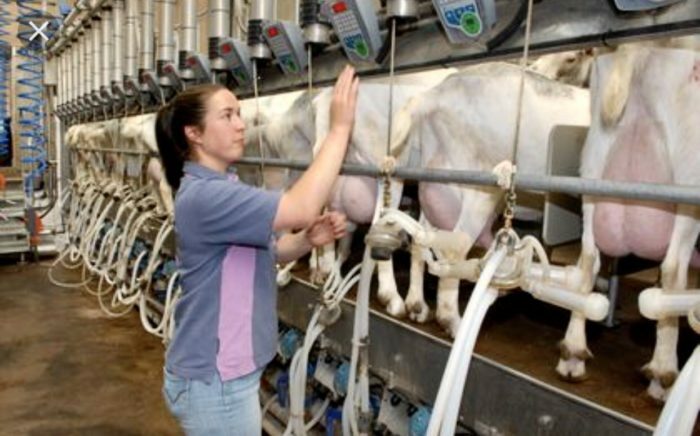 They are chronically ill and are routinely given antibiotics which end up in their milk and your ice cream. B&J’s claims to support GMO labeling but in reality supports these GMO cornfields which feed the animals used to produce their products. 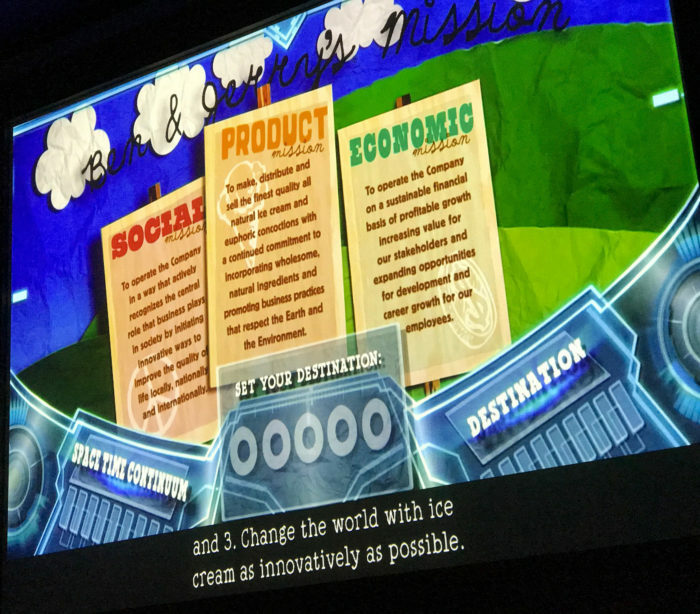 Ben & Jerry’s is among the guiltiest corporations for greenwashing and failing to live up to its stated mission goals. 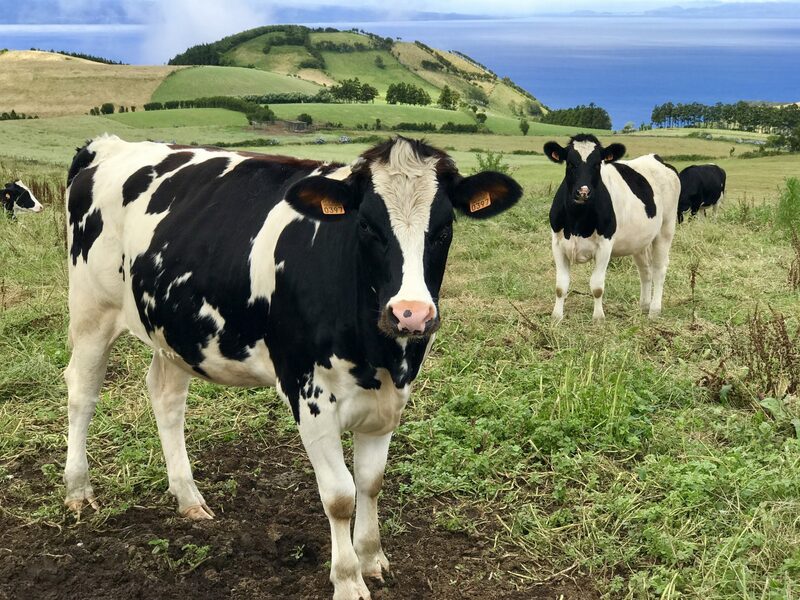 On the other hand, they have the buying power and influence to lead the dairy industry into an organic, sustainable future. 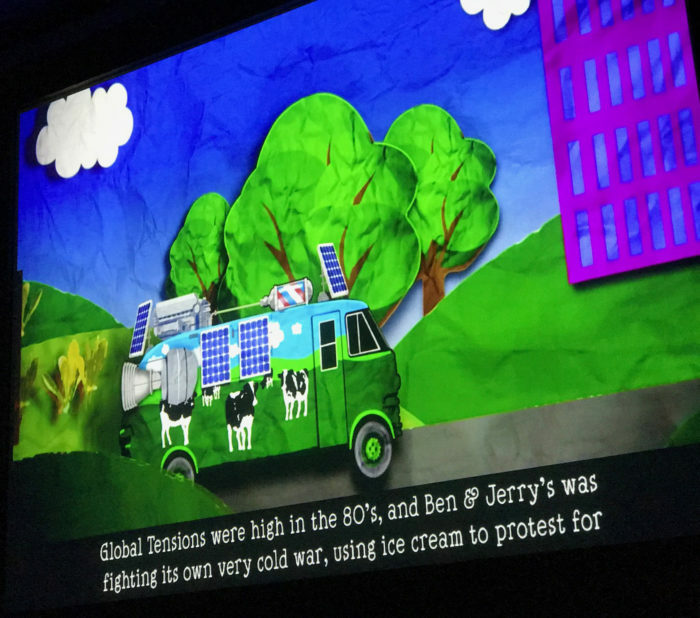 Ben & Jerry’s has invested deeply in creating and marketing an image of peace, love, and saving the earth. But their lofty slogans and value statements are smoke and mirrors and the only thing that will change this is public pressure. Send them a tweet here. Switch to a quality ice cream manufacturer that is a good corporate citizen, one that cares about food integrity and its consumers and is doing it right! Nadamoo coconut-based ice cream. 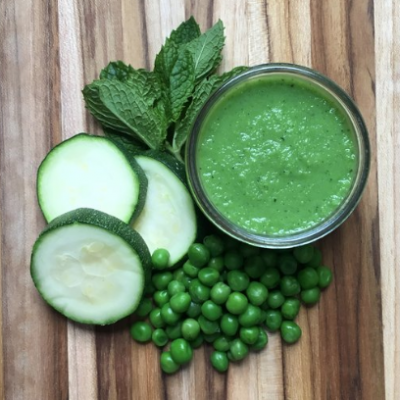 So rich and creamy you might not realize it’s not dairy! Try some artisanal ice cream with real egg yolks and heavy cream, the way it was meant to be. One really good new brand is Van Leeuwen. And a special shout-out to Austin’s own Lick Honest Ice Cream. Lick only uses locally sourced dairy and other natural ingredients to make its sweet treats, and they boast unique flavors like dark chocolate with olive oil & sea salt, and goat cheese, thyme & honey. They are always coming up with new ideas, like roasted beets & fresh mint, and they have several coconut-based options for vegans. There’s a cool new product called Cocowhip and Peoples Pharmacy (North Lamar store) is the first to offer it in Texas. 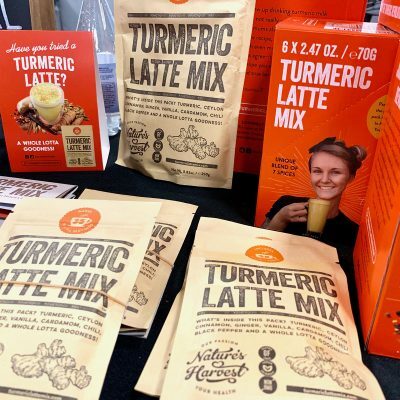 It’s made with coconut water, organic bio-fermented coconut powder and probiotics, it’s low in sugar, and I’ve heard it’s amazing. So if you’re local, try it and let me know what you think! Here’s a list of local artisanal ice creams all over the country. 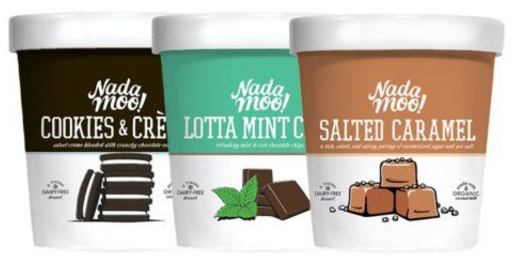 Your city may not be featured on here but I bet there’s a local outfit making delicious ice cream somewhere near you, so check around to see what you can find. Enjoy the last few weeks of summer with a scrumptious scoop of heaven that you can feel good about! Does this mean, that dioxin is also in fat from 100% grassfed organic animals/pastured and organic chicken? thanks! Dioxins: Is there an organic advantage? 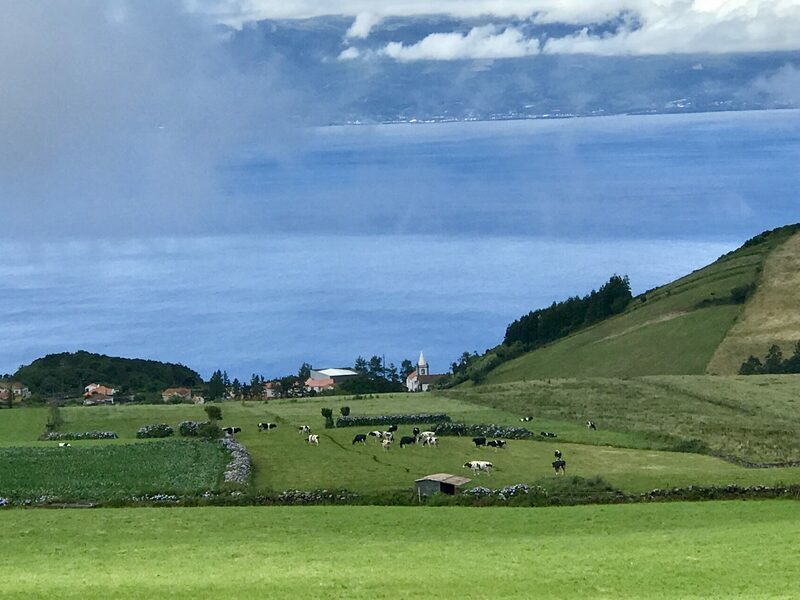 There is no way to control the dioxins that settle on crops and fields – whether organic or conventional – as the result of industrial or residential burning. However, organic production practices do reduce dioxin exposure through reduced use of synthetic herbicides and pesticides. 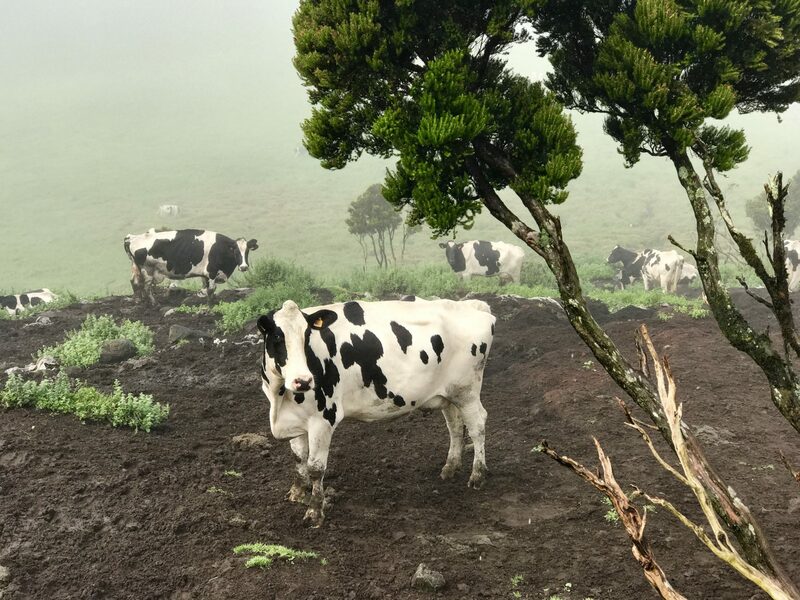 There are no studies comparing the dioxin levels of organic and non-organic animal products, but it is reasonable to assume that, because organic livestock would not be consuming as many dioxins through their feed, their milk and meat products would similarly show lower dioxin levels. Each year over 1.2 billion pounds of synthetic chemicals are disposed of or applied to our land or disposed directly into our waters. Nothing on earth is free from this “toxic burden.” In fact, this is why the organic industry was birthed: to restore our soil to health and to bring awareness to the public of this pollution. The organic promise is to do everything possible to reduce the amount of harmful chemicals in our food, our bodies, and the earth. Organic food and farms cannot promise 100% pure food, but in test after test of organic foods versus conventional foods, organic consistently shows significantly less residue than conventional.